Maxine Carr has pleaded guilty to 20 charges of benefit fraud and lying on job applications. Carr, 27, from Grimsby, is serving a three-year jail sentence for conspiring with the Soham killer Ian Huntley to pervert the course of justice. She has been given a three-year community rehabilitation order for the deception offences. Carr is expected to be released by the end of the week. The former teaching assistant appeared at Nottingham Crown Court on Monday. Carr's ex-fiance Huntley was jailed for life in December 2003 for murdering the 10-year-old Cambridgeshire schoolgirls Holly Wells and Jessica Chapman. Wearing a grey jacket and a black shirt and watched by more than 50 journalists, Carr listened to the charges read out to her and spoke only to admit to the 15 counts of benefit fraud and five counts of lying about her qualifications in job applications. One of these was for the position of classroom assistant at St Andrew's Church of England Primary School in Soham, where Holly Wells and Jessica Chapman were pupils. She also lied on 12 applications for housing benefit, two for income support and one for jobseeker's allowance by falsely claiming she was living alone when she was sharing a home with Huntley. The court heard how the offences were carried out in Cambridgeshire, Grimsby and Scunthorpe between April 1996 and August 2002, with Carr dishonestly claiming almost £4,000 in social security benefits. Judge Richard Pollard told Carr that she could have faced a prison sentence for the crimes but he felt it was in the public interest to place her under the supervision of the National Probation Service. BBC correspondent Andy Tighe, at Nottingham Crown Court, said that Carr's release on licence will still go ahead but it is not known where this will take place. 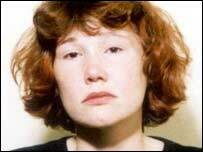 Carr is currently serving her sentence for perverting the course of justice at Foston Hall in Derbyshire. The arrangements for her release, after serving half of her sentence, have been kept secret and there has been speculation about where she will live. Carr has said that she would like to return to live with her mother in Grimsby, Lincolnshire. But it is believed probation staff in Humberside are to be responsible for supervising her. It has been reported that Carr's release could involve a round-the-clock police guard at a cost of almost £1m. Local church leader Canon Michael Hunter, rector of Grimsby, has said that although it may be best that Carr does not return to her home town immediately, she could be brought back into the community over a period of time. "Perhaps over the coming years, bit by bit, we can absorb her back in to Grimsby life where her family still live and which is the only life she knows. 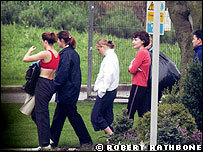 "Her misfortune was to be a girlfriend of Ian Huntley at the time of the Soham incidents. I hope that mature reflection will enable us to see that people cannot be condemned simply because of associations," Mr Hunter said. One other option that has been suggested would be for her to live at a secret address in the UK and give her a new identity. Her lawyers would then be eligible to apply for a legal ban on publishing her whereabouts for the rest of her life, which could also cover any children she has. "Carr escaped a jail sentence"